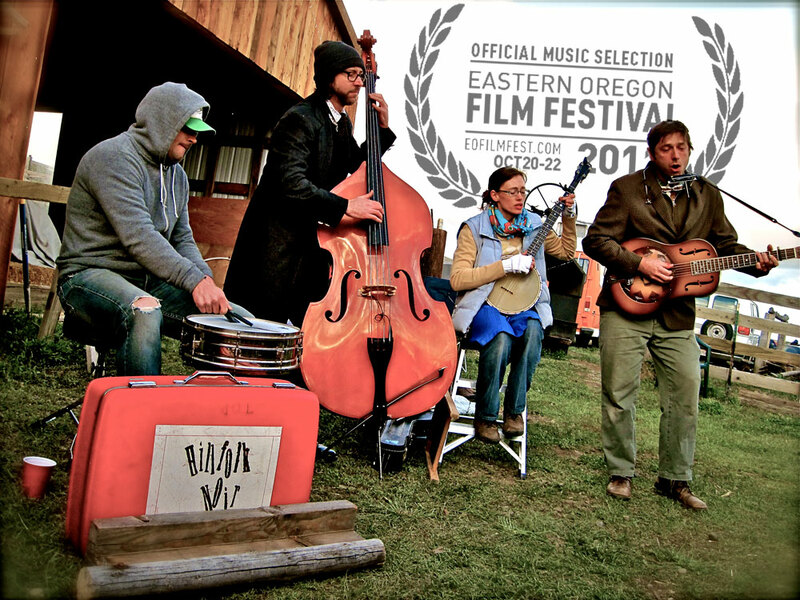 Eastern Oregon Film Festival is pleased to announce Boise, Idaho’s Hillfolk Noir as our festival kick off band Thursday, October 20th at the Granada Theater with a little pre-screening Junkerdash — then again as a follow up to the opening night film. Expect to really get cash-swanked as they team up with James Dean Kindle & the Eastern Oregon Playboys (more info to come) to provide the needed rhythm for the first of three after-parties in downtown La Grande, Oregon. 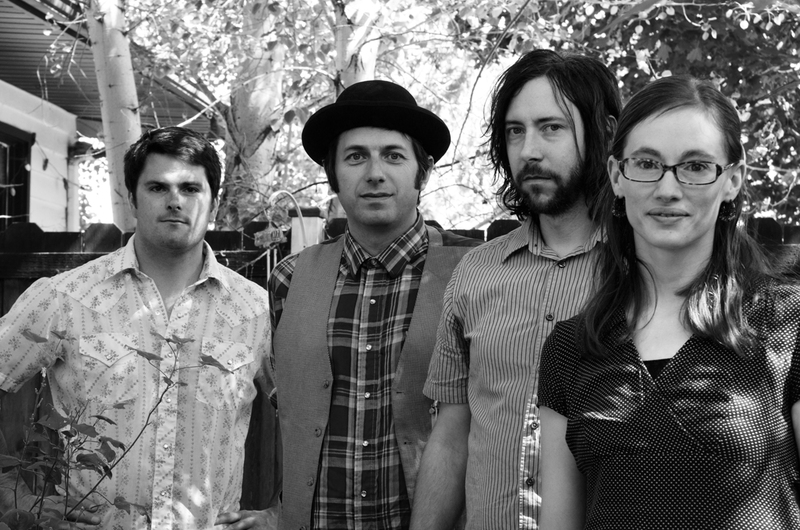 Fronted by singer, songwriter and multi-instrumentalist Travis Ward, Boise, Idahoʼs Hillfolk Noir (petometz.com) has been described as a dark, country-tinged, swampy- swinginʼ, hillbilly-delta-blues-ragtime word machine. The band calls it Junkerdash, but no matter the descriptor, youʼll find Hillfolk Noirʼs psychedelic swamp-shack rags equally spooky and toe-tapping. Last year the trio (missing Alison:( welcomed the excited opening night crowd at the Granada Theater. After the film they packed the late White House Coffee for a stompin’-drifty house style after party. We look forward to sharing in a great night of music and film with our friends and insanely talented cluster of clang and bang. Check out the bands links below and get to know ’em!